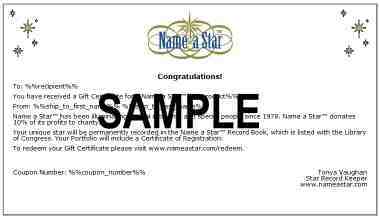 Name a Star™ Gift Certificates available for any occasion! 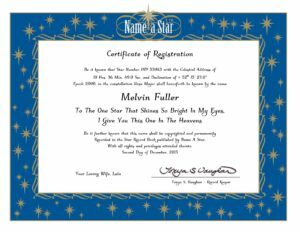 Let a friend or loved one name their own star. The perfect gift for that picky person on your list. We email you a coupon that you can simply forward to the recipient or print out and present. 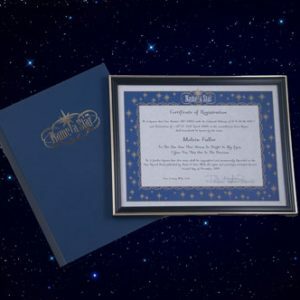 The Name a Star™ Gift Certificate is available for any Name a Star™ Package you choose. The lucky recipient can even upgrade to a Name a Star™ Package of greater value and just pay the difference. 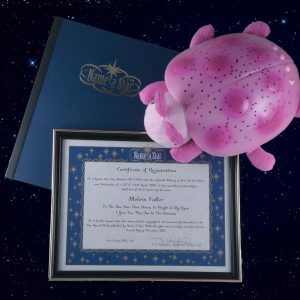 Buy now to immortalize that special person. This is a print-it-yourself file. The quality of this product depends on your printer, ink, and paper. If you do not have the resources or time to print this file yourself, forward the file to the recipient directly. 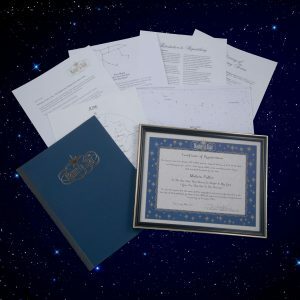 You can also take the file to any print or copy service, where they will print the Gift Certificate using the ink and paper of your choice. It’s the perfect gift for any occasion! The product price includes the shipping within the United States.